Happy Birthday to my most Raucous Royal, my daughter- Charlotte Elizabeth! 450 years ago today, Charlotte's namesake ascended the throne of England. On November 17th, 1558, Elizabeth’s half-sister, Mary I died early in the morning. The 25-year old princess Elizabeth was eagerly awaiting news of Mary’s condition at Hatfield House in Hertfordshire. 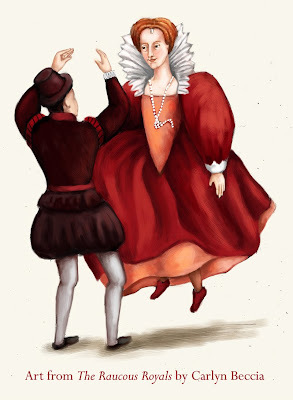 As a sign that Elizabeth had been declared queen, her servant was to bring her the ring that Mary’s husband, King Philip II of Spain, had once given the now very dead queen. So how did a mere woman take a war-ridden, bankrupt, second-rate country into an age of literacy, art and prosperity? That’s a long tale. Check out the book section to read more about Elizabeth. (1) Philip was none too happy about the change of power, nor did he get his ring back. (3)Cecil had recorded in his journal every Protestant that Mary had killed for heresy. You could say he had a bit of a bone to pick with the Catholics. Jenkins, Elizabeth. 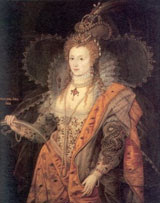 Elizabeth the Great. New York, NY: Coward-McCann, 1958. Thomas, Resh Jane, Behind the Mask, The Life of Queen Elizabeth I, New York: NY, Clarion Books, 1998. Jones, Norman. "Advice to Elizabeth." History Today, November 2008, pp. 14-20. What a great post! It makes me want to go and watch the first Elizabeth movie with Cate Blanchette, even though a lot of it is historically inaccurate, but she made a great young Elizabeth.